The apex court on Monday directed the Centre to file the draft scheme before the court by May 3. The Court also directed the respective Senior Counsel to convey to the competent authorities of the concerned states to “maintain peace at this juncture so that the (Supreme Court) could put the final stamp on the dispute”. “Our directions were clear that the scheme was to come into existence within 6 weeks of the judgment...we are surprised that it has not been done so far considering the struggle that ensued in this litigation...we have to assume a different kind of jurisdiction now...the Central government must show its bonafide that it wishes to frame the scheme and distribute the water...file a draft scheme before this court in a time bound manner so that the states can respond thereto upon which it shall become binding...”, admonished Chief Justice Dipak Misra. “Everyone who knows basic English could understand the judgment (of February 16)...it is only the Centre, for whatever reasons, which had some difficulty...Towards the fag end of the deadline for the implementation of the scheme, the Union of India tried to consult with the states of Tamil Nadu, Karnataka and Kerala and the UT of Pudducherry regarding the modalities of the scheme...now if every state replies to this draft scheme, it shall open the scope for even more litigation...please let the Centre only frame and implement the scheme...”, prayed Senior Counsel Shekhar Naphade appearing on behalf of the state of Tamil Nadu. “We will make sure that the scheme shall be finalised within one month to six weeks...also, we will only show the draft scheme to the states, there will no arguments by Senior Counsel in that respect, and then the scheme shall be implemented at the ground level...the role of the Centre is limited to this aspect...please tell your people that the matter is before us and we are trying to resolve it in every sphere...”, assured the Chief Justice. “The award of the CWDT (the appeals wherefrom were disposed off by the apex court vide the judgment dated February 16) has merged with our judgment...so why do you (the Central government) remember the award now? You should have come before us earlier; the stage for issuing notices to the states is over”, continued the Chief Justice. “We had earlier also rejected the submission of Senior Counsel Ranjit Kumar (the then Solicitor General) that this is a legislative function...it is an executive function and the Centre is bound to discharge it after our directions...”, said the Chief Justice to the Attorney General. 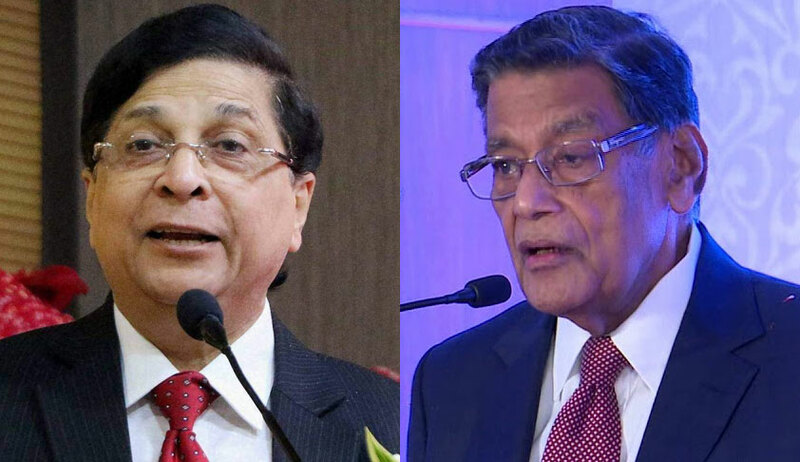 The Supreme Court bench headed by Chief Justice Dipak Misra was hearing the contempt petition filed by the state of Tamil Nadu and the Union Territory of Pudducherry against the Centre for failing to implement the February 16 verdict of the apex court. The bench was also hearing the application of the Centre seeking clarification on whether it has the powers to prepare a scheme at variance with the one recommended by the Cauvery Water Disputes Tribunal(CWDT). The Centre has also sought to know if it has the power to modify the composition of the Board as recommended by the CWDT. Seeking more time for implementation of its order, the application also informs the apex court that the Election Commission of India has announced the schedule for assembly elections to Karnataka on March 27.